A well designed guest bedroom will make friends and family feel welcome, even when they are far from home. It doesn’t need to cost the earth, but it does require a bit of planning. Apart from getting the decor and furniture right, providing your guest with all of their favourite home comforts – beautiful bedding, plenty of storage and even a light to read by at night, will all add up to a wonderful experience for your loved ones. Create a room that is clean and serene with a neutral backdrop that will please any taste. Opt for walls and furniture in muted hues of grey, brown and white to evoke a feeling of calm for your guests. Soft and soothing shades make any bedroom look timeless and sophisticated. First impressions count and the first thing a visitor will notice is the bed. There’s nothing quite like the feeling of sleeping in your own bed, but an inviting sleeping space can act as the next best thing. Go for cotton sheets with a high thread count for a touch of luxury, and a nice big duvet and fluffy pillows. And a trick to make the bed look extra inviting is by adding a mixture of different sized cushions to incorporate colours and textures, as well as a throw. Don’t be afraid to add a pop of colour to neutral bed linen, or mixing in some woollen knits and velvet to plain cotton. Always useful for you guests to store their bedtime essentials on. And if your budget doesn’t stretch to new and costly bedside tables, then why not repurpose chairs, use simple stools, or even stack some stylish storage boxes to create inexpensive alternatives. You want your guests to have brilliant sleep while they are staying. Make sure to get curtains or blinds that really block out all the light. You can buy black out blinds very cheaply and then dress the windows with some stylish ready made curtains. Before turning your spare room into a junk room for all your excess belongings, be careful to allocate some storage space for your guests. Perhaps buy a nice wardrobe or a chest of drawers (these could be second hand or luxury furniture items - go with what your budget allows). Is such a good way of giving a room character a warmth. The more different types of lighting you have the more you can create that atmosphere. Perhaps drape some fairy lights across the chest of drawers or have a floor light for some soft lighting. And small lamps on both the bedside tables will be just the thing for your guests to enjoy a bit of night-time reading. How useful would it be for your guests to have a dressing table? Search for items like a small table or desk and chair and a small stand up mirror and voila, there you have it. Don't worry if they don't match; mismatched styles and finishes lend a collected-over-time look. There a number of lovely little touches you can add to the room to really make your guests feel welcome and cared for. How about a bunch of tulips in a vase? Or some interesting books and magazines on a shelf for them to browse? Also nice extras you could provide include guest dressing gowns, an alarm clock, a box of tissues and some luxury towels. Hopefully these tips will have given you some inspiration for your guest bedroom. 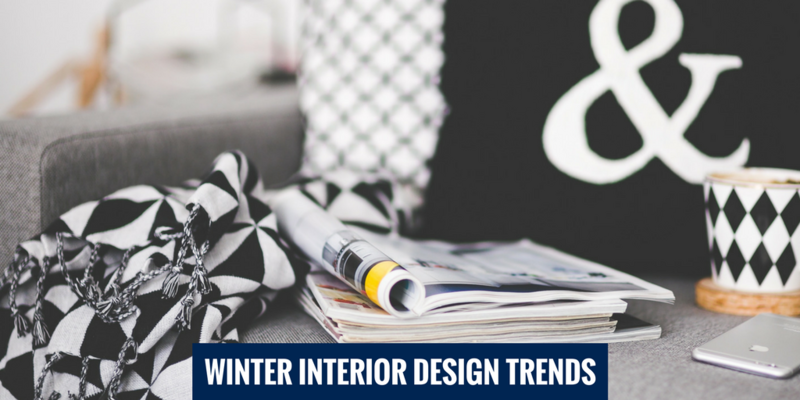 Bear in mind that if you spend some time planning the room out in advance, it will really pay off and save you from ending up with a mish mash effect. With a bit of effort, a splash of paint and some accessories you can create a cosy haven for your guests. Theoretically cookbooks are an easy win as a Christmas present. Even if your recipient never ever cooks from the darn thing, much pleasure will be gained from drooling over the lovely pictures. But surely, you would like your giftee to actually cook from the book you’ve given them? Too many cookbooks contain convoluted recipes with hard to find ingredients and require the use of obscure kitchen kit. Not all of us want to bankrupt ourselves and spend 6 hours in the kitchen just to cook one flipping recipe. Well here are 5 great cookbook gift ideas for Christmas, all of which contain recipes that are inspirational, but simple, and don’t involve too many ingredients. Nigella always seems to know how to conjure up unusual, gorgeous flavours with the laziest of efforts. And she does it yet again with ‘Simply Nigella’. The idea behind this cookbook is to strip things back to basics and tap into the rhythms of our cooking lives, with recipes that are uncomplicated, relaxed and delicious. Simply Nigella’ is by no means a clean eating book - there is plenty of classic Nigella naughtiness and gluttony in the form of chocolate liquorice cake and chocolate cookie dough pots. But there is a definite leaning towards more wholesome offerings, with on trend healthy eating ingredients making an appearance, from matcha, kimchi and miso to chia seeds and avocado. However it’s all done with Nigella’s distinctive flourish and irreverence. Some of the ‘semi healthy’ delights include miso salmon, matcha cake with cherry juice icing, cauliflower & cashew nut curry, sweet potato macaroni cheese and chai muffins. Ultimately it’s a really straight forward cookbook with dishes that are easy to throw together and comforting and uplifting to eat. John Whaite was the winner of bake off in 2012 and he’s gone from strength to strength ever since, he’s now written four cookbooks and runs a beautiful cookery school in the Lancashire countryside. The premise of ‘Perfect Plates’ is that all the recipes contain just five ingredients (although basic ingredients like oil, butter and seasoning don’t count as an ingredient). The recipes, as well as the stunning accompanying photos, are decadent, inspired and fabulously creative. And bonus, it’s easy, fun cooking. If you’re looking for lazy weekday dinners, John has quite a few up his sleeve. There’s the fried gnocchi and mushrooms with crispy fried sage which is just gorgeous buttery naughtiness! And then there’s the ham and fennel pasta made with cream - ingredients that are just lovely together – the subtle fragrance of the fennel with the strong meaty ham and cream in the background work so well. And when you’ve got a bit more time, why not wow dinner guests with ox cheeks in port with parsnip mash? And for dessert serve up chocolate fudge cake made with condensed tomato soup. It’s sounds bizarre, but try it, you’ll be amazed. And it’s ridiculously easy to make. ‘Eat’ is bursting with beautifully simple and quick-to-cook recipes, in fact in total it contains 600 easy recipes and ideas for midweek dinners. From sizzling chorizo with potatoes and shallots; to sharp and fresh green soup, Vietnamese-inspired prawn baguettes and one-pan Sunday lunches, this cookbook will have something for everyone. This is absolutely what is says on the tin. If your giftee needs quick, simple and deliciously healthy recipes, ‘Healthy Speedy Suppers’ will inspire anyone who feels too tired or busy to cook at the end of the day. Katriona MacGregor started her Speedy Weeknight Suppers column for The Telegraph online in 2013, after returning to London office life caused a slump in her diet. Resolving to break away from eating ready meals and cheese on toast every night, she began developing recipes that took no more than 40 minutes to make, were packed with good quality, wholesome ingredients, and tasted fantastic. And she’s well and truly succeeded. Anna Jones trained as a chef with Jamie Oliver at Fifteen. She’s a vegetarian and passionately believes that meatless cuisine can be exciting. ‘A Modern Way to Cook’ really delivers. Anna’s recipes are simple to make but somehow exotic, surprising and healthy. Her curry leaf and smoky celeriac pilaf is a real winner, it’s like a vegetarian kedgeree - spicy, fragrant and unusual. And try the lentils with roast tomatoes and horseradish - a plate of multi-flavoured, multi-textured deliciousness! The wholesome earthy lentils provide the base to sweet squelchy roast tomatoes with creamy horseradish for a kick and garlic and thyme breadcrumbs for crunch. 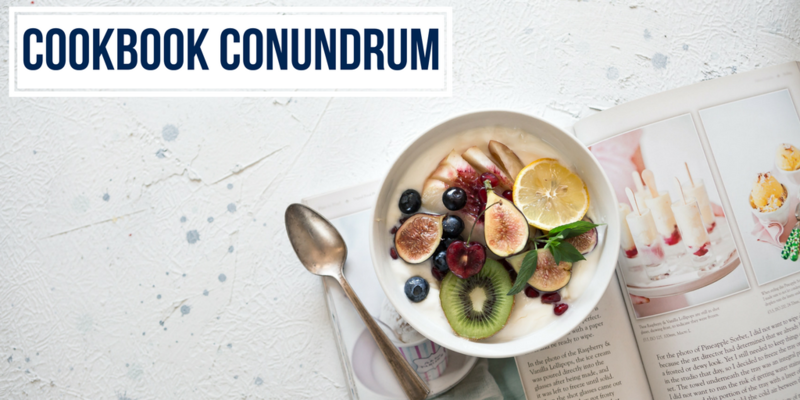 And if you’re bored of your breakfasts and fancy a reboot, Anna does a superb Nordic breakfast bowl. A slow cooked porridge with grated apple, almond butter, raisins, coconut yoghurt and all manner of nuts and seeds. And for the ultimate healthy nibble Anna’s salted almond butter choc bars are quite something. Think really fresh tasting bounty bars, but better for you. Gift giving at Christmas can be a wonderful experience. Watching your favourite fellow humans open presents they love from you will proffer all kinds of good feelings. The solution? It’s simple. Create beautiful, handmade Christmas gifts that are just as thoughtful and much less expensive than anything you could buy at a shop. 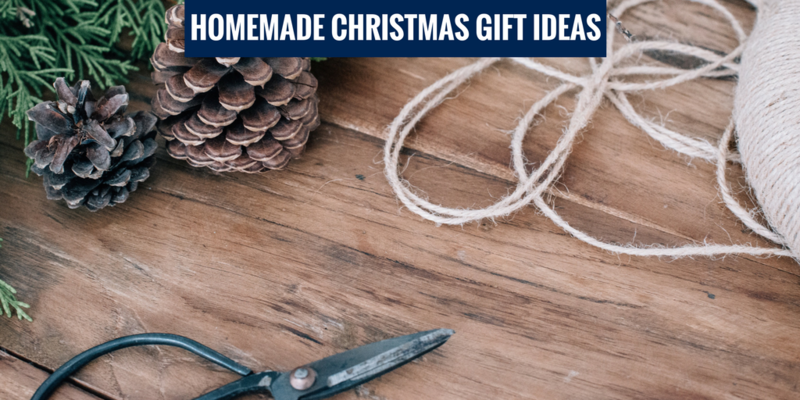 Even if you simply want to do something different this year, get your friends or family involved for some valuable bonding time, or crafting is a hobby you want to explore further, these six brilliant gift ideas are a great (and affordable) way to try something new this festive season. Add a personal touch to your green gift this year! Turn a galvanised bucket into a trendy plant pot that will twinkle its way into your loved one’s heart. Step 1: Using your chalk pen, write whatever you desire on each bucket. Step 2: Add water to each vase and then place your greens inside. Step 3: Place each vase in your buckets. Step 4: Tie a ribbon around the top of the buckets. Step 5: Add fairy lights by wrapping them around the plant. Get creative and add your own personal style to this enchanting wreath that will look gorgeous on someone’s front door this winter. Step one: Spray the embroidery hoop with your desired spray paint colour. Leave to dry for two hours. Step two: Attached your faux greenery and ornaments to the bottom of the hoop using the thin floral wire. Step three: Secure additional greenery to your taste. A fantastic gift for the little ones. Create an adorable felt Christmas Elf and inject a little magic into somebody's home this festive season. Step 1: Cut out your felt pieces using a small cone hat pattern. Step 2: Blanket stitch the felt triangles into cones and sew a bell on top. Step 3: Cut out small felt triangles to create elf feet. Step 4: Glue the feet on the bottom of the cones. Step 5: Using dots, draw on eyes and a mouth onto the wooden balls. Step 6: Glue your felt hats onto the wooden balls. Step 7: Glue the Elf’s head onto the cones. Optional: Create felt scarfs and glue them so they sit around the top of the cones. Give your friend this chemical-free scrub and make their TLC time extra special. Coconut oil is amazingly nourishing, and sugar is a natural exfoliant that will leave the skin glowing. 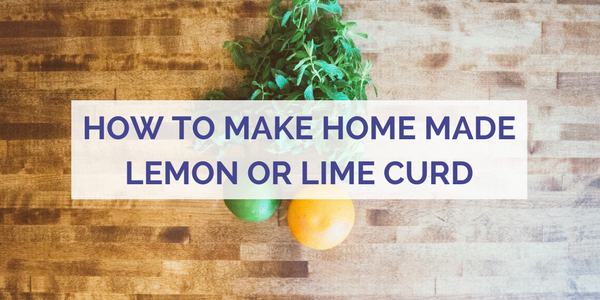 Step 1: Mix all of the ingredients in a large bowl, then add the lemon and raspberry extract. Step 2: Continue mixing until you are satisfied with the scent and colour. Step 3: Spoon your mixture into a jar and place it in the freezer for 30 minutes, then leave it at room temperature. Optional: Create your own labels and attach them to the jar with some twine for an extra festive effect. These simple gifts are super-easy to make and a great stocking filler for kids. You might even have some leftover chocolates to make your creative work all the more enjoyable! Step 1: Mix your chocolates together in a large bowl. Step 2: Put two strawbs into the bottom of your bag. Step 3: Carefully place your mixed chocolates into the bag. Step 4: To secure the bag, tie one brown pipe cleaner around the top and fix in place like reindeer horns. Step 5: Stick your googly eyes just above the middle of the treat bag. Optional: Fill your reindeer treat bag with animal treats for a seriously-cute present for your favourite pet. Do you know someone whose middle name is shabby-chic? Then this gorgeous handmade jewelry storage will surely put a smile on their face this Christmas. Step 1: Measure your layout, keeping in mind how many earring hooks you want to install and (if possible) the length of the necklaces your chosen gift receiver has. Step 2: Screw the hooks into the plywood to your preference. Step 3: Glue the plywood backing to your frame using the gorilla glue. Step 4: Leave the glue to settle for one hour. Step 5: Paint the frame and plywood with your chosen paint. Step 6: Leave to dry for two hours. What will you create this Christmas? It seems that Santa’s elves might not be the only ones crafting Christmas gifts this year! It might take a little extra effort to create your presents from scratch rather than heading towards the shops, but the benefits will be worth it. If you’ve ever experienced curiosity about how the delicious food on your plate came into creation, you’ve come to the right place. Get your chef hat on and discover how to be better at cooking and how to recreate your favourite dishes from around the world. Here are eight sensational cooking courses that will help you achieve all of the above, revolutionising the tasty cuisine coming out of your kitchen. Fresh seafood cooked to perfection can be a joyous experience for your taste buds. But the skills required to cook this tricky ingredient so expertly can be difficult to build on your own. So, if it’s your goal to become a connoisseur of seafood, Rick Stein’s Padstow Seafood School could be your best stepping stone. Discover how to marry tastes of the ocean with delectable flavour combinations while overlooking Cornwall’s stunning Camel Estuary. An exceptional array of wine is yours to enjoy, and you get to eat everything you cooked under expert tutelage. Price: £95 for a half day. £1,690 for a four-day residential course. Are you a recent vegetarian? Or has it been a lifestyle choice for years? Perhaps you’ve just decided to go vegan and feel a little overwhelmed by your new dietary restrictions. Cordon Vert Cookery School was created for people like you and has been around since 1982. Recognised as the World’s top vegetarian cooking school, a course here will help you gain a greater understanding of vegetarian and vegan food (and gluten-free food if you fancy), giving you techniques and recipes to take away that will transform your at-home green menu. Learn how to cook Asian food so great you’ll never have to eat out to savour your favourite Thai, Chinese or Japanese dish again. Based in Covent Garden, the School of Wok draws its inspiration (and ingredients) from nearby China Town. Explore the nearby markets and learn vital information about cooking with Asian food. The tutors here are known for being both patient and informative, and with the free-flowing wine and artisan beers, you’ll be cooking mouthwatering dishes in a deliciously relaxing environment. Price: £95 for half a day. £750 for a five-day course. Eating what you cook from a course at Ballymaloe is closest to wild eating you can get (without the risk of snacking on poisonous berries!) Formed by celebrity chef Darina Allen and Rory O’Connell, the school uses the freshest of ingredients sourced from its one-hundred acre organic farm; it’s no surprise that Ballymaloe’s defining principle is sustainability. So, if you’re looking to learn wholesome clean-eating recipes that endorse green living, this charming cooking school residing in wild Ireland will deliver in fantastic ways. Thinking of getting your family more involved in the kitchen? The Avenue Cookery School can help you. This is a family-run business with a friendly and fun vibe; learning how to cook here is something to enjoy rather than endure! There are a plethora of classes to choose from, with some specially aimed at children while others are centered around a specific ingredient, like fish. Or perhaps you want to brush up your chopping skills. Take a knife class and never fear the onion again. Vietnamese, Italian, Moroccan, Southern Indian, and Spanish cuisine; learn how to cook all of these different types of dishes at Food 52. The choice is entirely up to you, with separate classes for each gastronomy. And the recipes are easy to follow, giving you a prime opportunity to build your confidence if you feel a little uneasy in the kitchen. And the best part? Make sure you go into your class hungry because at the end you’ll be devouring everything you make! Burro e Salvia is all about pasta (and nothing else, but when you love pasta, do you care?) Take a course here and discover the secrets behind cooking Italy’s finest pasta from scratch. Price: £45 - £65 for one hour or one and a half hours. Now you have an incredible selection of cooking schools to choose from. So identify what you want to learn, whether it’s brushing up your skills with a knife and chopping board or your ability to recreate a dish you’ll never want to stop eating. 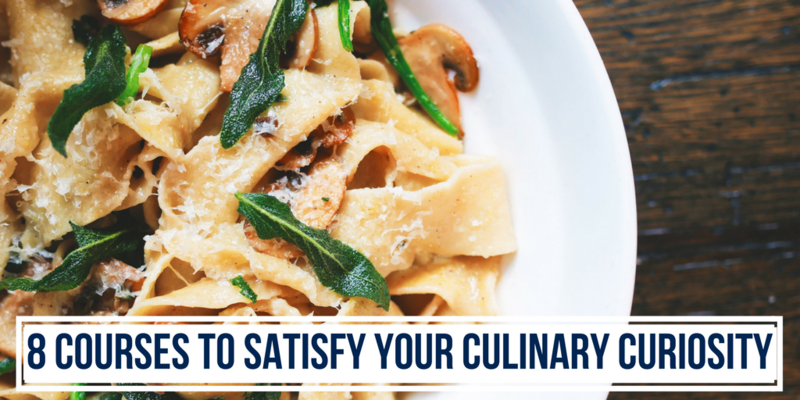 Then embark on an expertly run (and fun) cooking course, and gain newfound love and confidence for producing food that will satisfy and exceed your expectations. 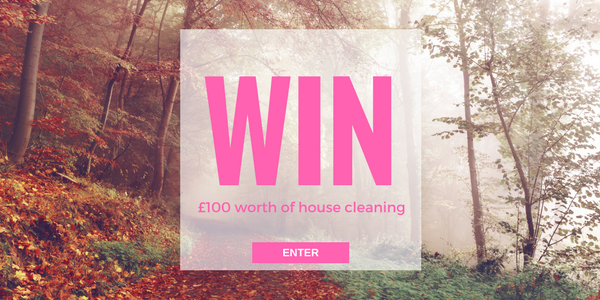 Send us a photo of your garden in it's Autumn colours for your chance to win £100 worth of free house cleaning! With a mild Autumn forecast across most of the UK, gardens are looking beautiful with vibrant reds, greens, browns and golds. We are giving away £100 of house cleaning to one lucky person and all you need to do is send us a picture of your garden in its Autumnal glory for your chance to win. Everyone who sends us a picture will be entered into a prize draw and a winner will be picked at random on November 31st and informed via email. Photos will also feature on the Time For You blog and social media accounts. To enter, simply click the button below and follow the instructions, providing your name, city, phone number and email address. ● Entry to the competitions is restricted to one entry per person please. ● Multiple entries will be disqualified. ● Automated entries, bulk entries or third party entries will be disqualified! ● Prizes can only be claimed at a valid UK address unless otherwise stated. ● A winner will be chosen at random from all valid entries. ● The winners will be contacted via email and their name will be displayed on our website. ● The Judge’s decision is final and no correspondence will be entered in to. ● The competition will run from 01/11/17 until midnight on 31/11/17. ● https://timeforyou.cleaning/uk/ is compliant with the data protection act. Our policy is such that we will not pass on your details to any third party without your prior consent. Having trouble picking the perfect colour scheme for your next decorating project? Check out these inspirational ideas that will help you choose the ideal colour combination for your home. There are many reasons why travelling across Europe is an incredible thing to do. Each country offers exceptional beauty, richly diverse cultures, and wonderful experiences unique to their origin. And another enticement on top of all those things? 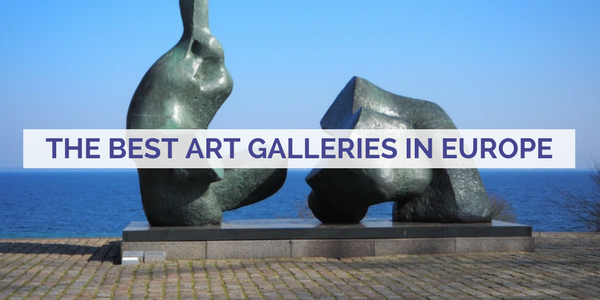 The continent’s internationally treasured art galleries. Discover the best of these, and join hundreds of thousands of tourists who visit Europe every year to experience astounding art from different centuries, nationalities and influences. The Louvre first opened in 1793 exhibiting five-hundred and thirty-seven paintings of royal and religious inception. Today, thirty-five thousand pieces of art can be found here, from canon works like the enigmatic Mona Lisa, ancient Islamic art, to dark and obscure European paintings. This accounts to one of two reasons why Paris’ treasured monument is one of the most visited art galleries in the world. And the other? The building itself. The Louvre is spectacular both day and night, with the grand museum encompassing its legendary glass pyramid. Walk from the Place de la Concorde through the statue filled Tuileries Gardens to add another layer of architectural majesty to your trip. Set your eyes on Picasso’s earlier works, and understand how his unique way of seeing the world is carried from his formative years as an artist into his adult life. For fans of his work, an insight into the foundations of his genius and his love of Barcelona is a must experience. And be mesmerised by the surrealist, beautiful architecture the gallery is housed within. It’s also worth purchasing an audio tour to deepen your understanding of his many iconic paintings. In northern Switzerland, between the borders of Germany and France, lies Basel. Situated beside the picturesque Rhine River, this city is both stunning and rich in history, with buildings dating back to medieval 15th century. Basel is also home to the oldest and largest collection of public art in Europe. Basel’s Fine Arts Museum, also known as Kunstmuseum, features jaw-dropping works from the early 15th century to the present day. And its display of elaborate Renaissance art is a treat to behold within this mammoth building, with works from Witz, Cranach, Picasso, and Braque (to name but a few). A tip for your visit: Get in for free between the hours of 5 pm and 6 pm on Tuesday, Wednesday, Friday, and Saturday. Similar to Muses Picasso in Barcelona, the Van Gogh Museum in Amsterdam is an ode to one of its most celebrated treasures. Works from this renowned artist paint a vivid picture of Van Gogh’s colourful, yet tragic life. Any art lover can appreciate the magnitude of seeing his pieces such as ‘Sunflowers’, ‘Almond Blossom’, ‘The Potato Eaters’ and ‘The Bedroom’ in person. It’s easy to spend a whole day here experiencing the retelling of Van Gogh’s life through his art. And it’s worth picking up a multi-media headset for an in-depth tour (as well as being an excellent way to block out the real world on a busy day). If I told you the National Gallery was free to visit in London (the land of expensive things), I wouldn’t blame you if you didn’t believe me. But it is, and this is all the more amazing once you experience how brilliant it can be. One of the most visited museums in the world, the gallery offers a spectacular display of over two-thousand Western European paintings from 13th to 19th century. Walk along the gorgeous inlaid wooden floors while gazing at work from the likes of Turner, Degas, Monet, and Botticelli. Finish your afternoon here with tea and cake at the gallery’s excellent cafe. Have a mini-break in Berlin and witness art interwoven with the city’s deep history. After the fall of the Berlin Wall, talented painters from across the globe came together to combine their artistic genius. They created over one-hundred paintings on the remnants of the wall, which was once the divide between East and West Germany, and transformed this landmark into an open-air gallery for all to see. Street art infuses colour, intrigue and iconic representation of the late 20th century along a mile-long stretch of the wall. It’s a break away from Europe's more traditional galleries, but no less impressive. Easily transform your travels around Europe into a retelling of the continent's ancient history through phenomenal art. Each gallery discussed here has its own unique story to tell; experiences you, your family and friends will speak of and remember for years. Meeting new people can be difficult, especially when you lead a busy life. It takes time to find a way to socialise with potential new friends or network with business connections. Add that to the stress of going to a venue alone, and not knowing if the people you meet are looking to form new connections; this can make your goal to expand your social circle a trial (when it could be something fun). The good news? There are events you can easily access that are designed to eliminate these stresses. We call them supper clubs: events where the numbers of attendees are small, the food is excellent, and the potential to meet like-minded people is high. Learn the genius behind these low-key events, how to join them, and enjoy forming new friendships in the process. It’s 1935 and you’ve been transported to a smoke-filled, dimly lit room, full of chattering voices. You’re sat at a table with people you don’t know, but the easy flow of conversation helps you relax. The cabaret is on stage giving an electric performance, and your feet tap to the smooth rhythm of jazz. This is an American supper club, the origin of these unique occasions. After a delicious dinner, the entertainment lasts through the night, as does the flow of drinks and sophisticated chat. You’re back in today, experiencing a British supper club for the first time. It’s a scene that has adopted the thrilling ambiance of its American counterpart. But many aspects have evolved to fit our modern society. The club is smaller and more intimate. People are engaged with each other, moving around the room rather than being stuck to a table. There’s great music, food, and drink. And the best part? You want to meet everyone there because you share something in common. This is the main purpose of supper clubs, and why they are so popular today. They create an intimate environment, bringing people together who are unlikely to meet elsewhere to share common interests, occupations or hobbies. These events are located across the country, both in cities and in rural areas. They are usually formed independently, by individuals who host a club in their home and serve several courses of excellent food. This can create the assumption that they are tricky to find and join. Which is true, when you don’t know the following search tools. Luckily, you’re going to learn them. Finding your nearest venue can take just a few clicks on Twitter or Facebook. Simply enter ‘supper club’ as one key phrase in the platform’s search bar and your location as another. This will bring up the latest posts containing those words on your feed, with information that should point to a local event. From there, you can browse through any upcoming occasions of interest, find the host or an attendee, and message them to gather more intel to get yourself an invite. 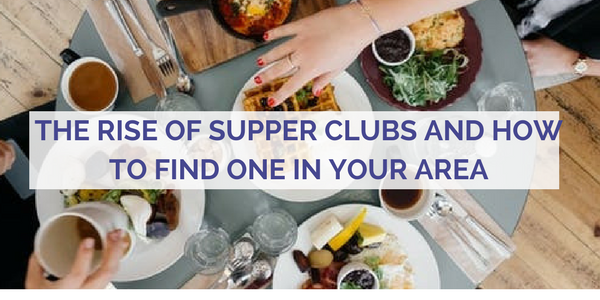 The next time you go out for drinks with a group of people, ask them if they go to a supper club. Because advertising through the word of mouth is likely to be the best way to hear about these events. Why? Because hosts want to keep their numbers down, otherwise it could turn into a party. So they might choose to advertise on a smaller scale rather than online, using invited attendees to spread the word, decreasing exposure. Both Eat My World and Supper Club Fan Group are websites and social media pages that allow you to search for events local to you. You can explore different options based on your location, taste in food, and interests. You might have to register to prove that you're a real and committed person. But this is a good thing: the information you provide will help your host bring people together who are compatible. If getting to know diverse and interesting people, eating delicious food, and relaxing in a cosy, informal atmosphere is your thing, then you’ll get the most out of supper clubs. So use what you’ve discovered here to easily add a new level of socialising to your life, and enjoy the exciting experiences that will happen as a result. Have you recently wined, dined, and socialised in this way? Or perhaps you’re a host? We’d love to hear about it, so please share your stories below! It’s not uncommon to spend way more whilst on holiday than you initially plan to. Drinks, food and excursions can easily break your budget which is why it’s important to try and save before you go by getting the cheapest flight possible. 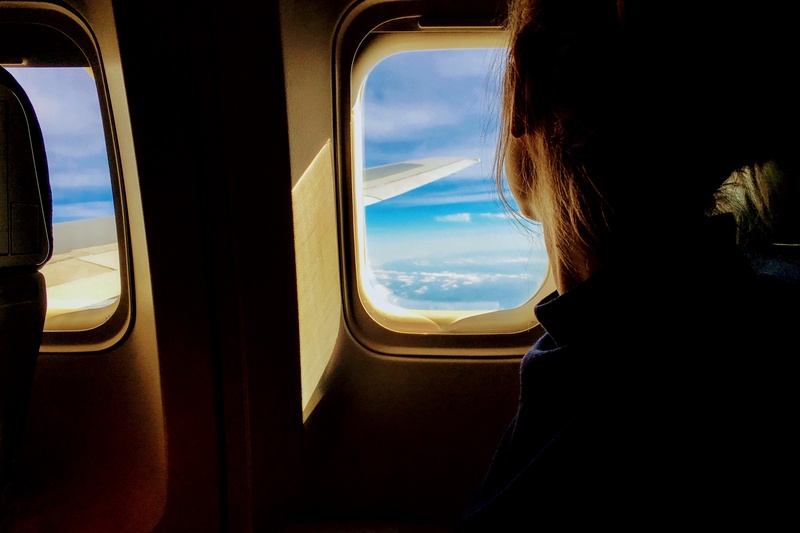 Here are some tips and tricks to help you find the cheapest flights out there. In order to get a good price it’s important that you don’t book too late or too early. On average travel bloggers tend to recommend that you book your flight around 50 days before you intend to fly. While you might think that booking your flight months and months in advance will save you money you may find that your flights are as much as 20% more expensive than if you booked them later on. On top of booking, at the right time you should also try and be flexible with when and where you fly. Websites like SkyScanner check all the available flights around to find you the cheapest option on the date you want to fly but if you can be flexible by a few days either side they have many more flights to choose from. Another sure fire way to save money on your flights is to be willing to fly at unsociable hours. The most popular flight times are mid morning but if you’re willing to fly late or very early then you might find that the prices drop. Load yourself up with coffee or pack some sleeping tablets to recharge while you fly to your destination. Those of us who are regular internet users tend to be pretty switched on to marketing tricks these days. So even when we rush through online checkouts, we tend to remember to opt out of receiving future marketing messages. However, when we do this we are missing out on the chance to hear about special deals. Often airlines will reward mailing list subscribers by making them the first ones to hear about flash sales and special deals, so join the club and check your emails regularly. As well as being flexible with where and when you fly you should also compare other options. Grab a pen and pad and look at the prices for flying alone compared with flying with a partner. Look at how much a flight is all together and then look at how much it would cost if you booked it as two single tickets. You may find the results surprising. Do you have any special tips and tricks for finding a super cheap flight? Tweet us at @TimeForYouGroup and let us know.